Are you new to RC racing and thinking of your first purchase? Or are you looking for a gift for your kid? 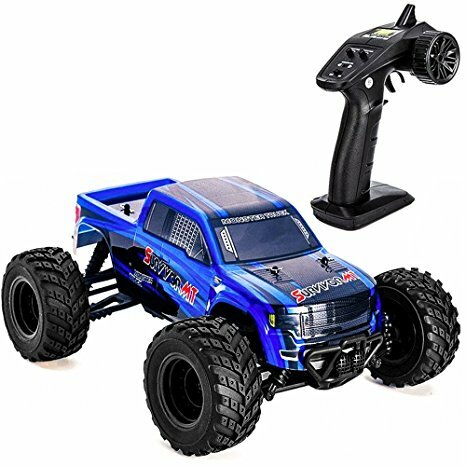 This guide will assist you in avoiding making a purchase of the best RC car that doesn’t suit your intended use for your remote controlled vehicle of choice. 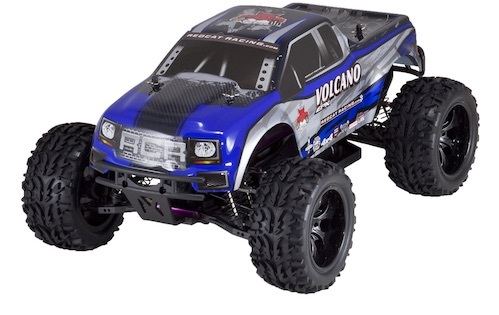 This RC is a popular buying option for any who are interested in a powerful all-terrain RC. The motor of this engine is hailed for being exceptionally fast. However, the HOSIM 9125 easily spins out due to its overwhelming power. This will lead to amateur frustration since it will take concerted effort to feather the controller throttle. 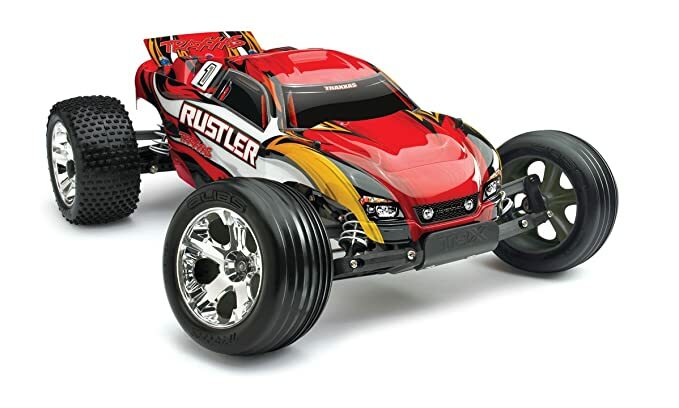 Although this RC has drift and tumble capabilities, you should be careful not to make repetitive collisions with hard surfaces at top speed. Overall, the HOSIM 91259125 is pretty good for a toy-grade all-terrain RC. Even as a toy-grade truck, the Distianert 1/12 4WD handles rough terrain very well. Many customers rave about its 4 x 4 traction which is able to get the driver out tight spots. Another feature is its shock resistance suspension which allows it to handle ramp jumps exceptionally well. The rc truck makes for a good buy at just about $100. This would be an excellent choice as an hobby toy-grade off-road truck. Not everyone wants to have a top-of-the-line RC car. Sometimes they'd rather enjoy something good, but not too expensive. The Traxxas Rustler meets that middle ground quite well. The quick charge and waterproof body means you don't need to wait forever to recklessly drive through a rain puddle. Though I wouldn't suggest trying it in the mud. Cosmetic parts tend to break easily, so many users purchase an attachable bumper for additional safety. But if you aren't looking for a tank of an RC car, then this might be a good option for you. For those who love adventures and a little hard hitting time in the outback, this model has been designed for you. This RC is so much more than just another car. It comes in two colors namely red and blue. The design of this rock crawler is just the way it should be – sturdy, hard and meant for some wild adventures in the outback. The motor is quite commendable. Users can enjoy different kinds of activities like rock crunching, stone slamming, and boulder stamping without bang afraid that this will damage the externals or even the whole RC. If you are ready to move over cars and would like something even larger, how about racing trucks? This is for those who are not afraid to experiment and change. 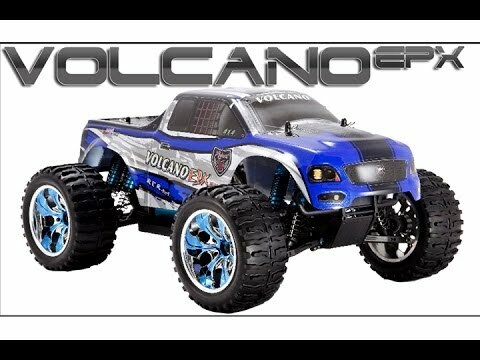 This volcano EPX electric truck has been gaining quite a lot of popularity in the market. It comes in bright blue color with silver touches to it. The motor is quite good too as it is electric brushed 27T 540 motors. Some folks want speed; some want power. 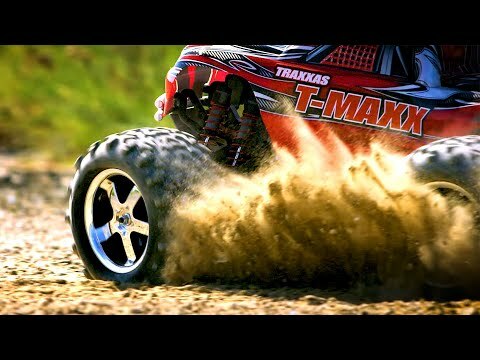 If you want it all, you want the Traxxas T-Maxx. It's big, it's tough, and it's fast. This is the kind of RC car that would make smaller cars scamper in fear, if they had that kind of sentience. Though not everyone is ready to handle something as beefy as this. The maintenance, break-in time, and set up can be overwhelming to casual or newcomers to the hobby. 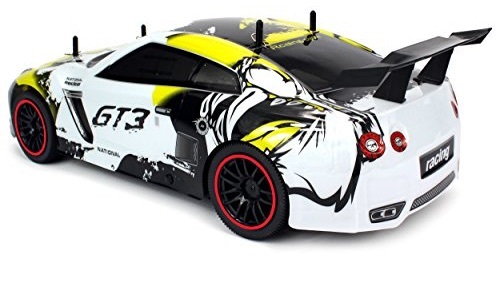 I wouldn't recommend this particular RC car for a newcomer anyway, not at that price. But if you're not afraid of a commitment and want the best, this is a great car to choose. 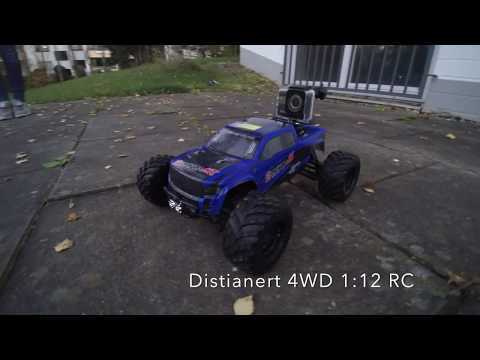 Finding a balance between quality and cost is difficult with RC cars. Those new to the hobby may not be so thrilled about dropping $100+ on a nice car. The Hapinic is a good option for people on that fence. It's rather affordable, but it won't be anything special for this reason. There have been a number of cases where the car would break down on or shortly after arrival. While this can be offputting, the Hapinic company is known for having quick and pleasant customer experiences, so a replacement should be no problem. If you want rc toy able to climb rough terrains, you need a rock crawler. 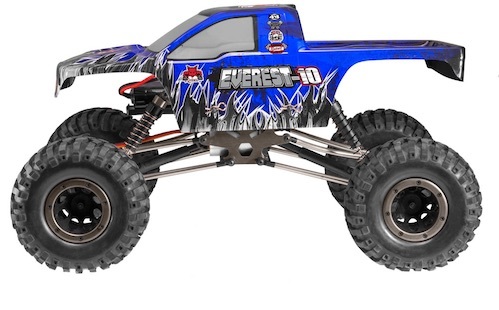 The large wheel to body ratio of the Double E Rock Crawler allows it to traverse any surface relatively unhindered. All four wheels have their own independent suspension system. So it can tough out any jumps and flips you face it with. The most common complaint is with the battery, which drains quickly. Especially if you forget to set the car in the off position. 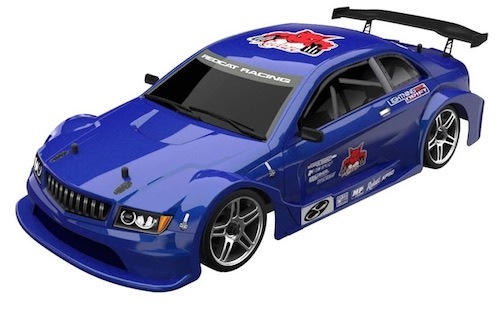 Available in 2 bright colors, this racing car by Redcat comes with a polycarbonate body. The design of the car is commendable enough and looks promising. Both the colors are bright and catchy and likely to attract people who want to get their hands on an RC. Priced appropriately; this is a mid range RC which comes with good enough feature and a price which won’t be too much on your wallet either. As we know that drifting is a form of driving which is somewhere between the line of control and the trouble of chaos; so, this car comes with comb tires which help the RC slide effortlessly even when you make it turn and revolve a bit too many times. 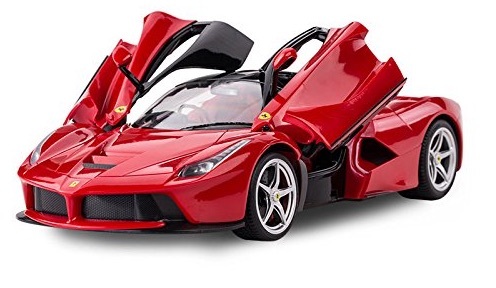 A mighty expensive car, this one is for the little car geeks who are not looking to settle for anything else. It can be purchased close to $700 and is one of the most cutting edge designs in the market at the moment. The bright blue on the outer side and the great finishing gives it a wow factor and will surely make you wish you too can own it. Not just the exteriors built; there are a lot of features which this RC comes with too. The features along with the design make it a must buy model. It can reach a top speed of 100 mph. The exterior has been aerodynamically styled to ensure that the kind of high speed which the car can attain and even the stability level is top notch. While this car comes with most of the pros, one of the biggest drawbacks is the price factor. It is extremely expensive but if you have money to spare, it turns out to be one of the best RC you can have your hands on. 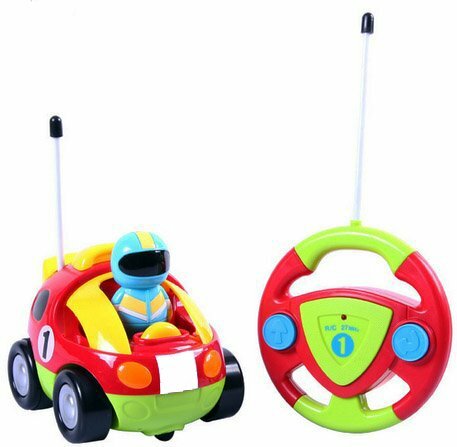 Those who are looking for a really stylish car that has a different and unique design, this is definitely the RC model you need to keep an eye on. The overall design is sturdy and different and it will give you a good run for your money too. This RC comes packed with too many great features that seem to be promising and the performance output is quite excellent as well. It can be used even on wet grass as well. While the car seems to be good enough, you definitely have more advanced and better versions in the market if you are ready to shell out a few more bucks we would recommend opting for other models. 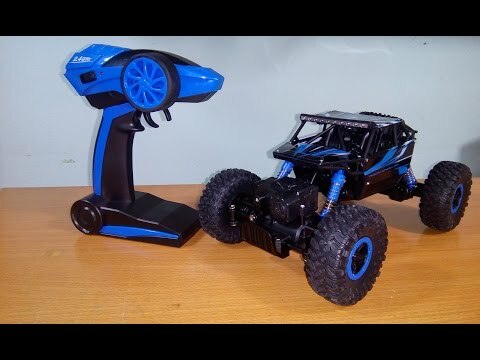 Those who are on the lookout for a beginner RC can surely check this one out. Velocity toys is a reputed brand and are known to make some good action packed cars. This RC is surely a promotion option and comes in a catchy design. The overall build of the car is good enough to attract buyers because it is also known to be packed with the right features for good performance too. It has a good build as it measures a foot and half. Now, Ferrari needs no introduction and despite being just an RC (official license model), we all know how crazy the craze for a Ferrari is. This is why this car which comes with the open door provision is definitely turning to be a rage in the market. The catchy red and the high-end finishing make it a good buy. Multiple cars operate on the same frequency which makes it hard for two people in the same family to race their cars as a single controller might work for both of them making it hard to engage in a competition. This is a rather compact car that has managed to impress quite a lot of customers. It comes in 2 colors of white and red and is a good bargain. 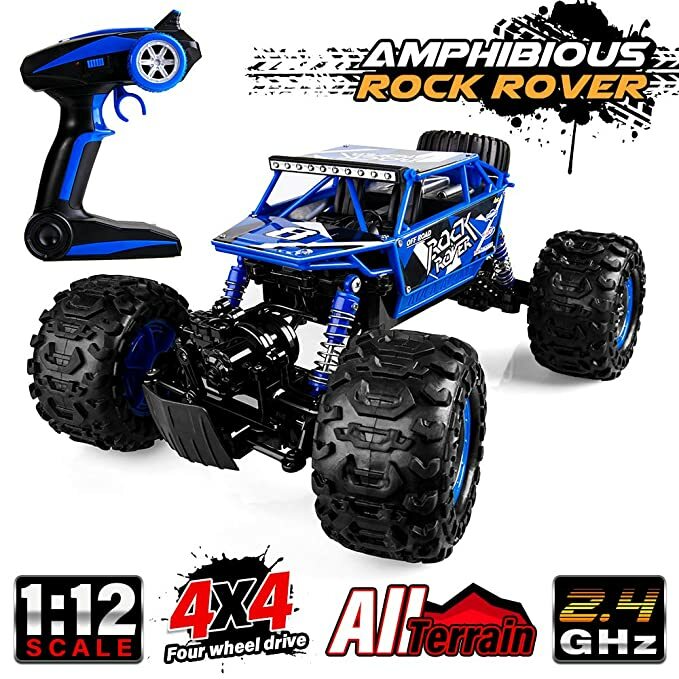 While this isn’t the most advanced RC you can get, it comes with good enough features when compared to the kind of money you shell for it. 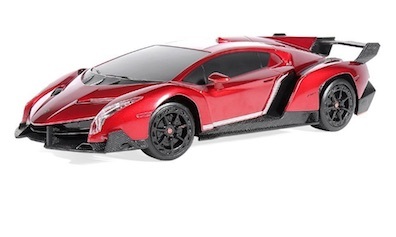 The main highlight of this model has to be the catchy and vibrant design and of course, the Lamborghini class. While RC cars are a fantastic hobby, most of them come with certain risks that aren't suitable for babies. Liberty Imports attempts to remedy this with the Cartoon RC Car. Everything from the car to the controller is rounded out to reduce the chance of injury. It's built with extra durability as well, to keep it in one peace when left alone with a curious child that likes to throw things. It's baby-safe and inexpensive. 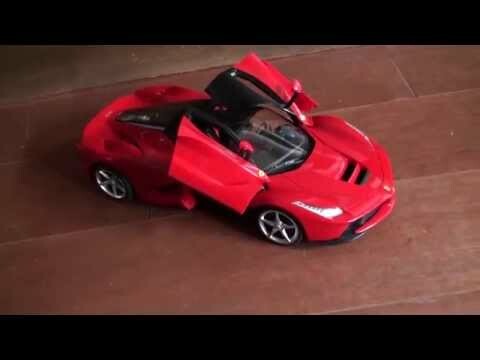 If you're looking for "baby's first RC car," then this might be a good place to start. Before going headlong into the hobby, it is best to gain an overview and then build upon that foundation over time. 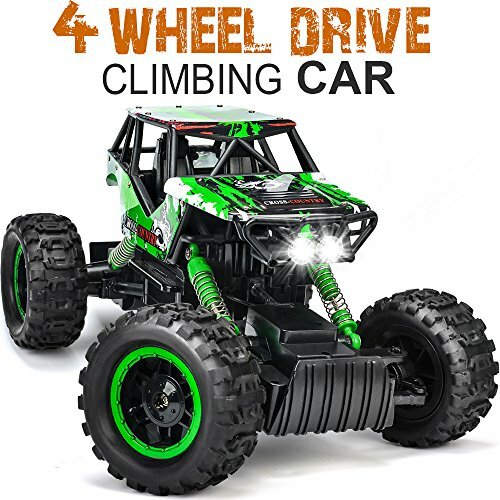 There are several idiosyncrasies about RC vehicles that are essential to understanding the type of car that you want to buy. The first question that usually comes from anyone new to RC cars is: ‘Which RC car should I purchase?’ This is actually a great question, but it is a little misdirected. The right question will actually be: Which type of RC car will you buy? 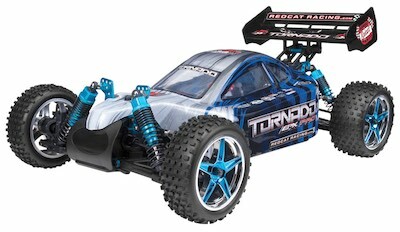 Before choosing any RC, you must understand that there is a stark difference between toy-grade and hobby grade. The latter is much more expensive but as you can expect, they are more durable, faster, and generally better. We’ll cover both grades in this brief guide. Buggy: A hybrid between street and off-road RCs are buggies. They work very well on flat surfaces and have just enough height to handle off-roading. However, the off-roading experience will be much slower. Drift: Drifting RCs are similar to normal cars that use slick tires for drifting around corners (which could be extremely useful on some tracks). 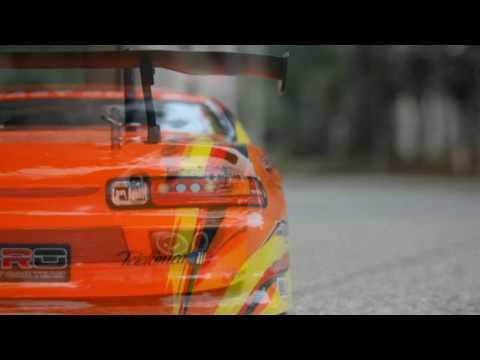 Controlling an RC to drift correctly is difficult. Street: On flat, paved surfaces street cars are typically unmatched in terms of speed and cornering. However, street cars suffer greatly on rough terrains and some are completely useless on non-flat surfaces. 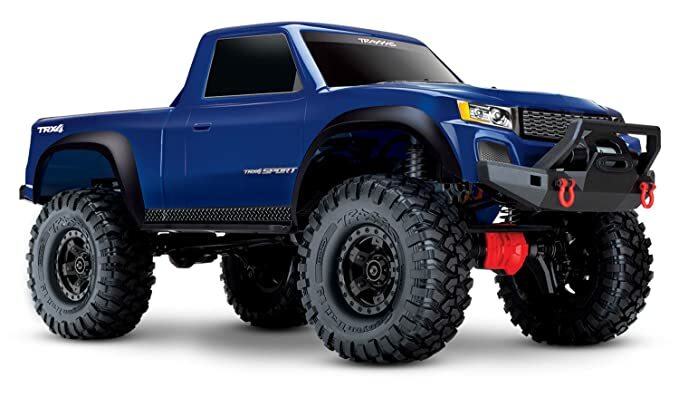 Trucks: Similar to traditional-sized monster trucks, RC trucks are the most capable for heavy off-roading. However, they are very slow on the street. Truggy: These RC are basically the opposite of Buggies, being more suited to off-roading than street. 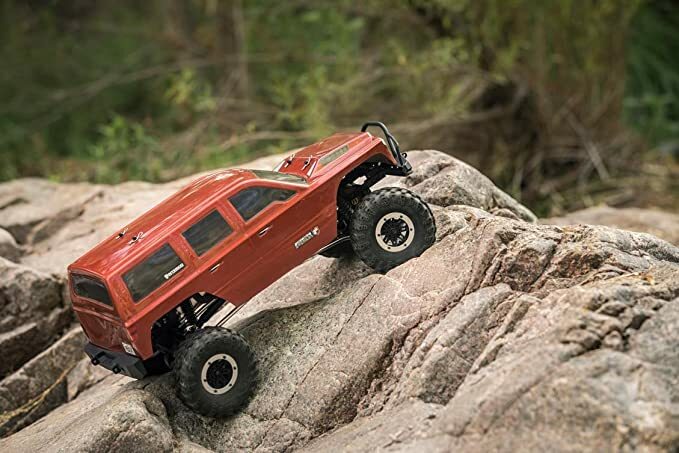 Crawler: RC Rock Crawlers able to climb rough terrains: rocks, mountains, and insurmountable surfaces with ease. 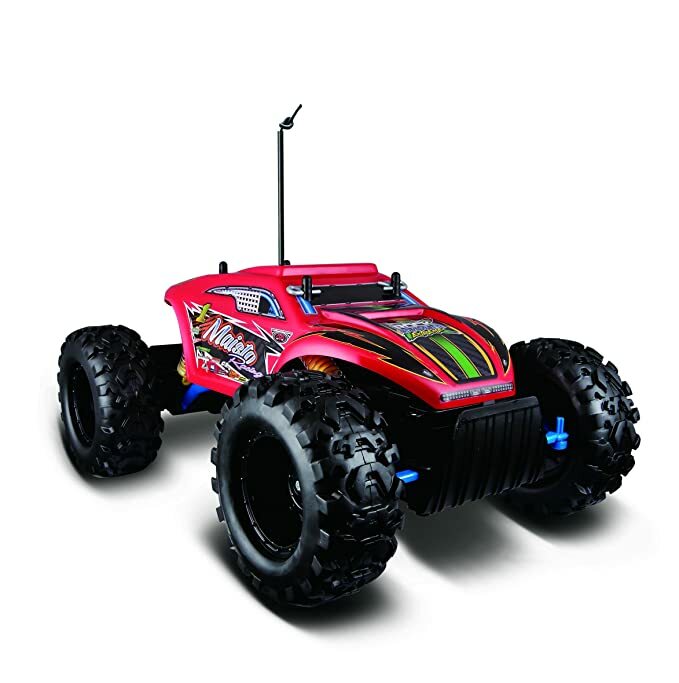 *There are other classes of RC cars such as pan, touring, scrawlers, SCTs, and others. But these are more for enthusiasts and special circuits which you’ll undoubtedly learn about if you get into building your own RC or competitions. Once you find the right RC, you may find the hobby to be highly addictive. This is especially the case if you locate a local racing circuit or obstacle course. Several modern RC cars have been engineered to achieve some amazing feats, particularly when they are in the hands of a skilled driver. As you increase your prowess as a driver, you’ll come to a better realization of what your vehicle maximum capabilities. Over the years, advancements in RC technologies have skyrocketed which has raised the level of driver competency. The listing covers 20 of the best RC cars on the market to date. Once you have decided which type of RC you are seeking, you will do well to consider the models in our listing. As you review the list you notice nearly every category of RC car. Each of the cars chosen has a set of features that are quite useful for its terrain speciality. While some of them are more expensive, we made it a point to list even those that are entry grade so as to give an amateur a good starting vehicle. The costliest RC in the list is Traxxas XO-11/7 Scale AWD Supercar. Despite its high cost, this is definitely the best of the lot and the preferred option for all those who are in their pursuit of buying a great RC. The first decision to make is whether you’re going to buy a toy-grade RC car or a hobby-grade RC car. The toy-grade stuff is what you find at Walmart and other department stores. These vehicles tend to have some great looks, but usually, the benefits pretty much end right there. The vast majority of them are very cheaply made and have very limited capabilities. Toy-grade RCs tend to have very low top speed, poor steering and rudimentary suspensions if any at all. What that means is that whoever uses the vehicle is likely to grow bored with it very quickly, relegating it to the back of the toy box in no time. Most toy-grade vehicles won’t go through grass or rough terrain. They won’t climb obstacles and they go too slow to be fun for long, even on smooth surfaces. And the worst part about the toy-grade RC, they’re not upgradable or repairable. If your kid likes it enough to keep using it, eventually they will break it. And when that happens, you throw it in the trash and you wind up with a heartbroken kid. Most toy-grade RCs will cost you between $60 and $100, so you’re talking about a lot of money for something that’ll end up in the trash. One notable exception to that is the Maisto Rock Crawler. While still nowhere as good as this hobby-grade crawler, it’s surprisingly capable for a toy-grade truck, and at $30 to $40 is a pretty safe option if funds are very limited and if that child likes a slower, more technical type of car. So let’s talk about hobby-grade cars. By moving up to a hobby-grade RC there are some significant advantages. First and foremost, they’re more reliable and repairable, so your investment is protected. One more great thing about the hobby-grade RCs is that they’re upgradable. So as long as their skills grow, so can the capabilities of the vehicle. My son is nine and still uses the same RC car that I got for him when he was three because we were able to keep upgrading it as his skill increased. 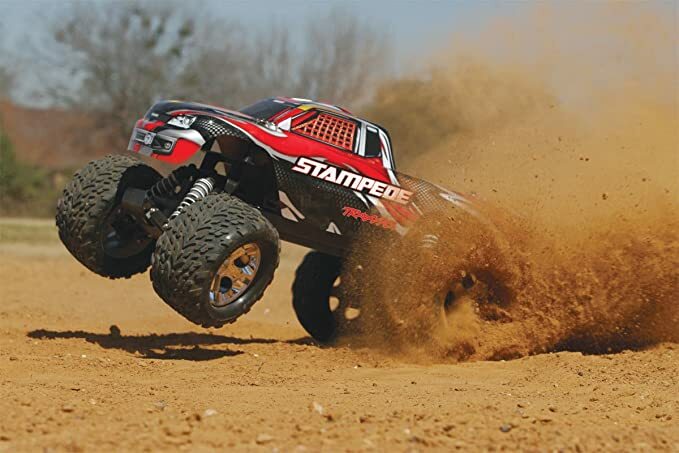 With hobby-grade RC cars, the sky is the limit when it comes to costs but you can get into some nice hobby-grade RCs for as little as $100, which is what a lot of the toy-grade stuff costs. Now that I’ve hopefully talked you into considering a hobby-grade RC car, now I wanna explain the differences between the myriad of sizes and styles that are out there so that you can make a smart purchasing decision. 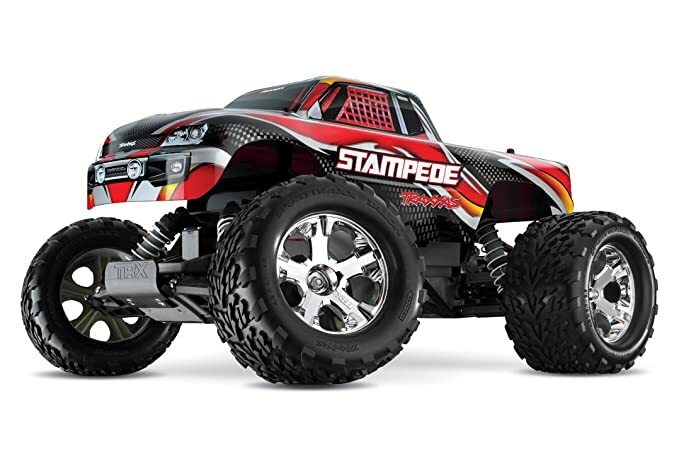 Remote controlled cars come in all sorts of sizes, ranging from tiny 1:64 scale, all the way up to big 1:5 scale. The most common size is 1:10 scale, and that’s what I’m going to recommend for a few reasons. Bigger RCs can not only cost a ton of money but putting a 20 pound, 50 miles per hour missile into the hands of a child can result in some pretty significant damage to things like pets, cars or ankles, so I don’t think that they’re a good idea for a beginner. On the opposite end of the scale are a bunch of smaller RCs, like 1:18 scale. A lot of people gravitate toward these because they’re inexpensive and there seems to be this natural assassination that small toys are best suited to small people. The problem with the size is that they’re still way too big and powerful to be used inside unless you have a huge basement or an empty two-car garage. But they’re still too small to go over most of the terrain you encounter outside. 99% of the time, a kid will use an RC car in the backyard in the grass, in a dirt driveway, or in a street that’s full of curbs and miscellaneous obstacles. Small vehicles are essentially useless in all of these conditions. So unless you live next door to a skate park to plan to use them only on pavement, the smaller cars end up going unused. 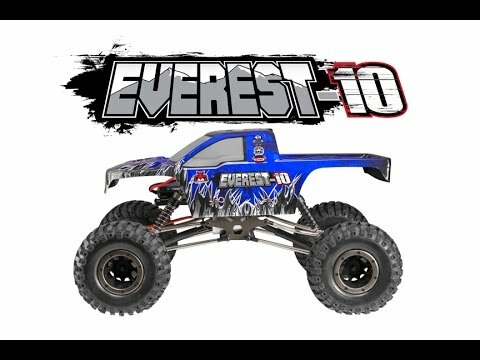 I picked up a 1:18 scale monster truck, just like this for a friend’s kid for his birthday, and as far as I know, he used it one time and never touched it again. For this reason, I feel like 1:10 scale RC cars are that sweet spot where you get the benefit of being able to use them on a wide range of terrains without the costs or the dangers of the larger vehicles. The one exception here would be if the child does have a large enough indoor space to use them as I’d mentioned before. In that case, something like the 1:28 scale team associated trucks are a great option and they won’t break the bank at $50 a piece. I have these 1:28 scale WL Toys trucks, and we have fun setting up a race course with cereal box jumps in my garage, but for everybody else, I’ll stand by my recommendation for 1:10 scale. What Type of a Vehicle to Get? Now that I’ve recommended size, I wanna break down all of the different types of RC cars that you can get within that 1:10 scale. There’s a lot of variety here, but I’m going to break it down into three main groups. You’ve got on-road cars, off-road cars and crawlers. Right away, I’m gonna take the on-road group off the table for the same reasons that I did with 1:18 scale, because you’re very limited on where you can use them. Even if the child lives where they have immediate access to a nice, large paved area, most kids will grow bored with that limited application of only one type of use very quickly. So that leaves off-road vehicles and crawlers. Both can be a great option, depending on what you think they might prefer. In my experience the majority of kids seem to prefer the excitement of going fast, setting up jumps, doing wheelies and donuts, and all of those sorts of things that go hand in hand with the typical off-road vehicles. If you think your child would be more interested in the slower, more technical side of RC then the crawler’s the way to go. The places that these trucks can go is extremely impressive, and there’s an endless supply of obstacles out there to challenge them with. The one caveat to the crawlers is that, in my experience, because they spend their time in such harsh, rougher terrain, breakage is inevitable so you’ve got to keep that in mind with this segment. Because of the increased demands on these vehicles, you also tend to have a lot fewer options in the lower end of the price range. $300 to $350 is generally the entry point for this type of vehicle. Although, for $200 there is this Redcat Gen 7 Sport, which I’m a really big fan of. I use mine a lot but you do need to be prepared to make frequent repairs with this truck. So just keep that in mind. 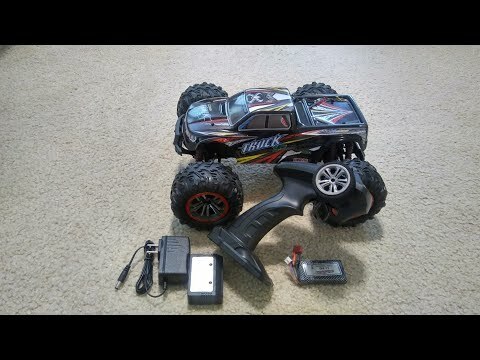 Stepping up the $350 level can get you into a Traxxas trs4 Sport, which is a fantastic vehicle and very durable with only a few minor, but potentially expensive, exceptions mainly being the steering servo. What type is recommended for beginners? So this leaves us with the off-road segment, which is what I recommend for the majority of new RC owners. Within the off-road segment, you have a variety of vehicles. You have buggies. You have stadium trucks, short course trucks, and monster trucks. Plus, they’re all available in two-wheel drive and four-wheel drive. What’s the difference? Between two-wheel drive and four-wheel drive, the difference is that the four wheel drive trucks tend to be more capable in rough terrain, easier to control in low traction environments and more expensive. The controllability is really only a big benefit on the fast, more powerful types of trucks that I wouldn’t recommend for a beginner, though. In the more modestly powered vehicles, the two-wheel drive trucks are very controllable and less expensive. The 4x4s do have big benefits when you start to move up in speed and power and try to go through the nastier, rougher terrain. Now your last consideration is, what type of vehicle? A buggy, a stadium truck, etc? My recommendation here has a lot to do with where you expect them to use the truck. If it’s going to see a lot of use in the grass and rougher terrain, then you’re going to want to stick with something that has a lot of ground clearance. Monsters trucks generally have the most ground clearance, followed by stadium trucks, then a short course and then, finally, buggies. They would have the least. On the flip side, as you reduce your ground clearance, handling improves. If they’re going to be using them in shorter grass and in smoother terrain, then something like the short course truck or a buggy would be best. I tend to be a big fan of stadium trucks because I feel like they strike the perfect combination of versatility in the widest range of terrain. 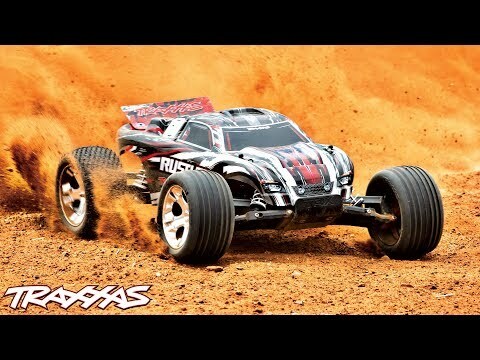 One of my favorite examples is this Traxxas Rustler. It’ll do okay in short grass and it’s a ton of fun in dirt driveways, skate parks and bumpy dirt lots. It’s available in hobby shops for about $200, and you can even get it in a kit if that’s something that you prefer. In my mind, it’s one of the best values in RC. It’s super durable. It’s easy to work on and it has an adequate performance right out of the box, plus it’s very upgradable. 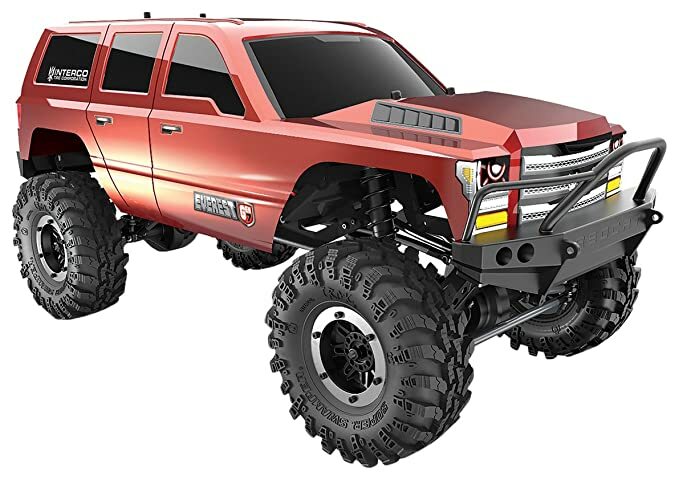 If you’ve got a few more dollars to spend, you can step up to a two-wheel drive monster truck, like the Traxxas Stamped, the Traxxas Bigfoot. 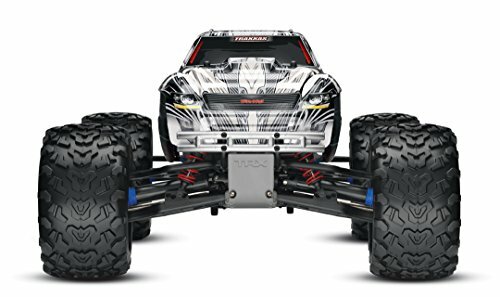 Traxxas Stamped has a longer chassis and bigger tires, so it’s more capable in the grass and in rougher terrain. This one has upgraded electronics and a new body. Another great option here is the Arrma Granite Voltage. It’s a two-wheel drive monster truck for $100. I don’t like it as much as the Traxxas trucks, but at $100 it’s awful hard to find a lot to criticize. There’s one last consideration that I want you to be aware of. As I mentioned before, one of the primary benefits to hobby-grade RCs is that they’re repairable, and this is huge because sooner or later they’re all going to break. They all do eventually. With a toy-grade RC, when that happens, you throw it in the trash, which leaves you with a disappointed child and the feeling of having wasted money. The hobby-grade RCs have the benefit of repairability, but in order to take advantage of that, you’ve got to choose one with good part support. And ideally, one that your local hobby shop stocks the parts for. 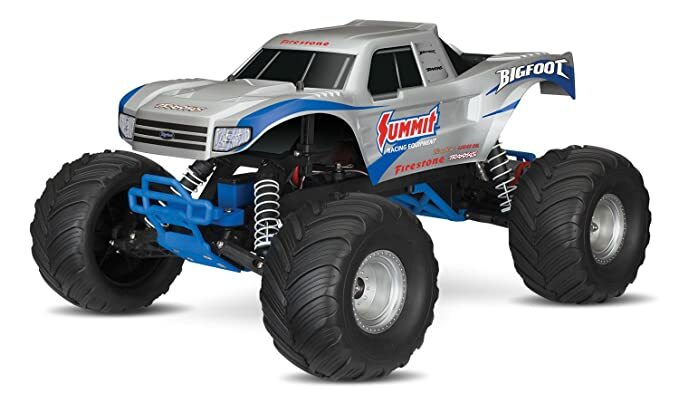 If this is the kid’s only RC car, they’re going to be bummed out if they have to wait a week or more for parts to arrive, so being able to get the parts at your local hobby shop is a huge plus. In my case, if I break an RC car, I have plenty of other ones to use in the meantime, and I’m almost never able to get to my local hobby shop when it’s open anyway. So for me, my only concern is that there’s good part support online. Part support is also why I wouldn’t recommend some of the lower priced off-brand RCs that are available from places like eBay, Amazon or any of the number of Chinese retail sites. Some of those vehicles represent a great value, and I have a bunch myself, but no kid wants to wait a month for parts to come from China when they break something. So for their first RC, stick with a name brand that has local part support. 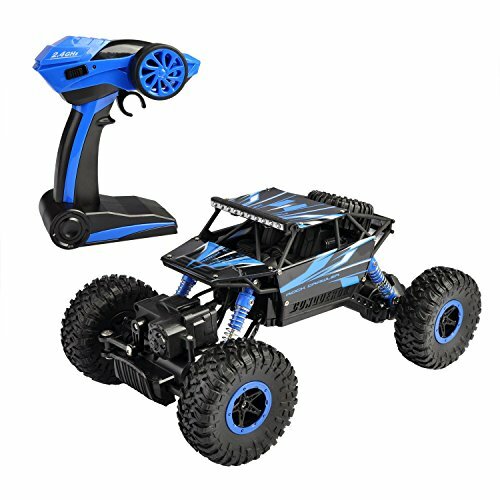 Hopefully, you’re well equipped to pick out the perfect RC car that’s sure to make somebody really happy. I have links in the comparison table to all of the vehicles that I mentioned, along with their specs. What else should I consider before buying an RC? How you drive your RC will have a great bearing on some of the other features that you will desire for it. For instance, if you are going to drive the vehicle everywhere, you may want to check the RC’s crash-rating. Some vehicles are obviously more robust than others, so if you are intending for your RC to survive a wall crash consider a stronger car. What type of batteries do RC’s use? Different manufacturers use various battery types. However, common batteries are 9V and AA. 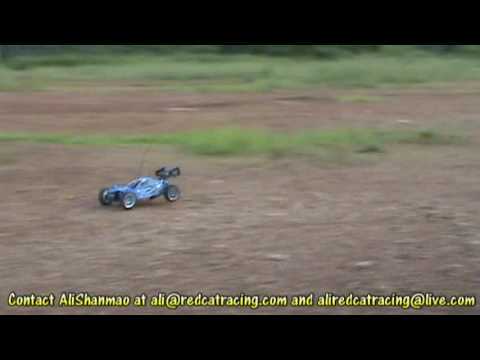 You should also know that there are some RCs that have nitro motors. So while the controller may need batteries, the engine may need batteries and fuel. Can two of the same RC be used at the same time (with different controllers)? If you are purchasing two of the same RCs, check to see if they have different frequencies for the controllers. Most of the time, manufacturers have multiple frequencies on the controller and car so that this will not be a problem. But always check before you complete your purchase. Can an RC handle jumps? Again, this greatly depends on the type that you buy. Of course, off-roading RCs are more suited to handle jumps that street car types. If your RC have suspension shocks, then most likely it can handle mild to moderate jumps from ramps. 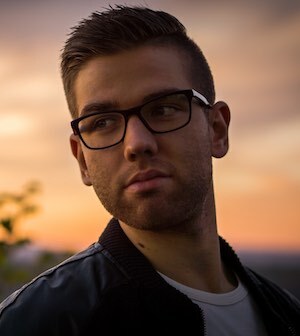 Can I design my own RC? You certainly can! There is another level of enthusiasts within the hobby that use RC kits to build customized models. However, if you a just learning about RCs or do not have the time to invest in builds it is most likely a better option to stick with ready-made cars. Can I use my RC on the beach or sandy surfaces? You can but it should be done with extreme caution or avoided outright. Sand particles can get into the bushings, gears, suspension, and other tiny parts causing a lot of wear and tear. Anyone using their RC on the beach or in sandy conditions will lose some lifespan from their vehicle. Below are a few things to understand about RC components. This information may come in handy if you need replacement parts or you are seeking to get into building a customized RC. Currently, all RCs have motors that are brushed or brushless (sometimes abbreviated as BL). Among the two brushless are the best. Brushed motors operate slower than BLs; hence, most of the cheaper RCs (particularly toy grades models) feature brushed motors. The rating for brushed motors is calculated by its revolutions or turns (typically symbolizes with ‘t’). Many of the stock motors in ready-made RC have a range between 19t and 30t. High performance brushed motors range between 5t and 12t. Hence, the lower the turns the faster the engine. Some brushed motors are rebuildable and feature easy disassembly so the brushes and springs are accessible. Other brushed motors are closed (non-rebuildable, hence called ‘cans’) and have to be replaced as a whole. 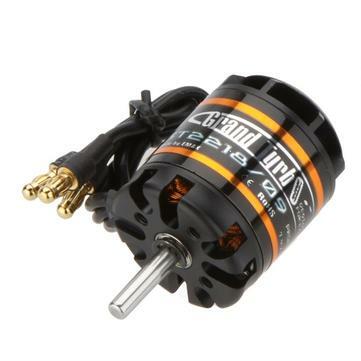 Brushless (BL) motors are more durable, faster, and use battery power more efficiently. Therefore, they are more expensive. BLs are classified by KV. In contrast to brushed motors, BL KV ratings that are higher are equivalent to more RPM. But just because a BL has a high KV does not automatically mean better. Lower KV equals more torque which is essential to heavier RCs like trucks and other off-road/all-terrain vehicles. Hi Gareth! 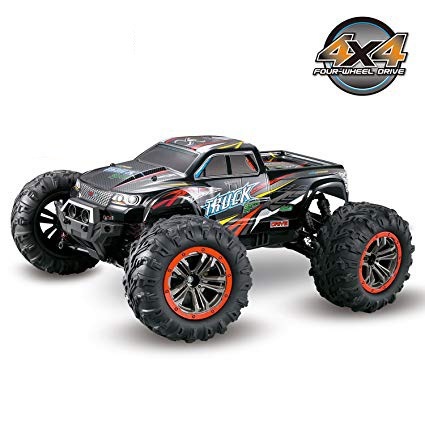 Found your article very helpful and I purchased the Hosim 9125 for my almost 7 year old son for Christmas- mostly because I couldn’t see spending 300 dollars on a car (Traxxas) that he will break pretty consistently and I thought replacement parts were respectable. But I have run into a small snag. Amazon has some parts but not all. Is there another brand that parts would work for the Hosim? Is there another website besides the Hosim website or amazon to acquire parts? In my area there is a hobby town and they are pretty big snobs in there and since I didn’t buy from them I am weary to ask for help from there. But if there is another brand that parts transcend than I would rather walk in knowing that. Also my son wanted to convert the wheels into tracks, is that possible? Where would I get parts for it? He and I like to tinker with things when it comes to repairs so I look forward to your response. Thank you and Happy New year!